Appointed by Governor E. Lee Trinkle on April 16, 1925, to fill the vacancy created by the death of Joseph Luther Kelly and began his service on June 1, 1925. Elected by the General Assembly on January 21, 1926, to complete Kelly’s unexpired term. Elected in 1928 to a 12-year term beginning February 1, 1929. Service terminated by death. Elizabeth Terry Long, “Richard Henry Lee Chichester (1870-1930),” Dictionary of Virginia Biography (1998), 205; first elected, Journal of the House of Delegates of the Commonwealth of Virginia, 1926 Regular Session, 71; elected in 1928, “Virginia Supreme Court Judge Dies: R.H.L. Chichester, 59, Succumbs in Fredericksburg Home After Illness,” The Washington Post (1923-1954) [Washington, D.C], February 4, 1930: 20; death, 153 Va., iv; portrait, Library of Virginia catalog. 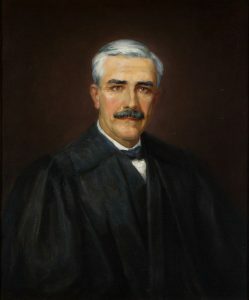 In 1929, the Virginia State Bar Association formed a committee to acquire portraits of former justices who were not already represented in the court’s collection and approved a measure to reduce the cost of the project by asking family members of the justice to donate a portrait. 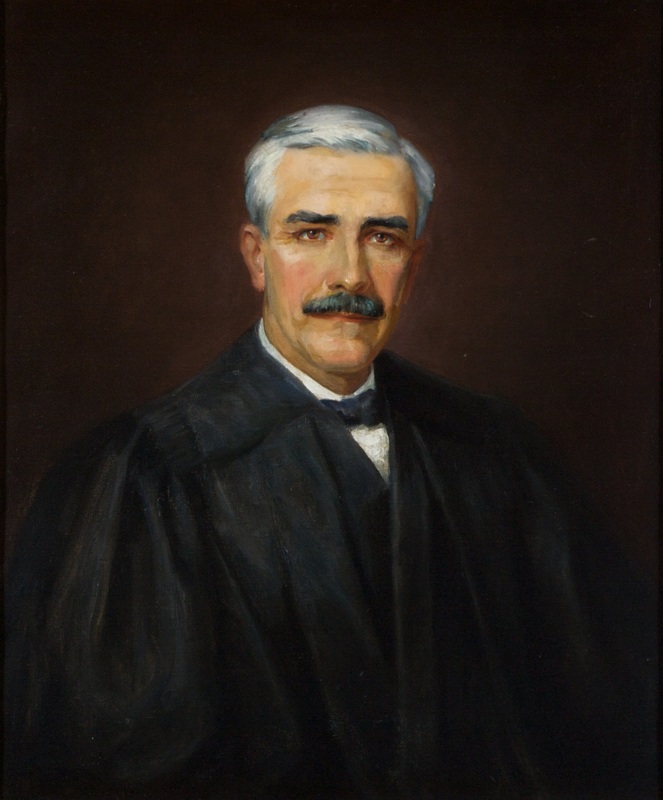 Chichester’s portrait was donated by family members in 1932 in response to this request; see Proceedings of the Fortieth Annual Meeting of the Virginia State Bar Association, August 1929, 206-210; and Proceedings…August 1932, 108.